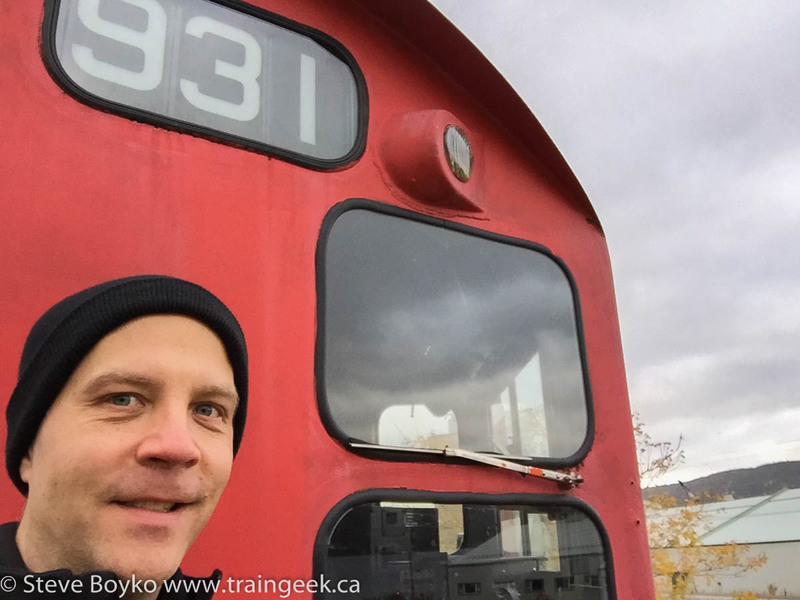 Back in October 2015, I went to Corner Brook, Newfoundland for a short work stint. While there, I spent a bit of time at the railway museum in Corner Brook late one afternoon. The railway museum is located alongside Riverside Drive on the Newfoundland T'Railway, the portion of the Trans-Canada Trail that is built on the roadbed of the former Newfoundland Railway. Specifically it is on Station Road in Corner Brook, here. It is well maintained by the Railway Society of Newfoundland. 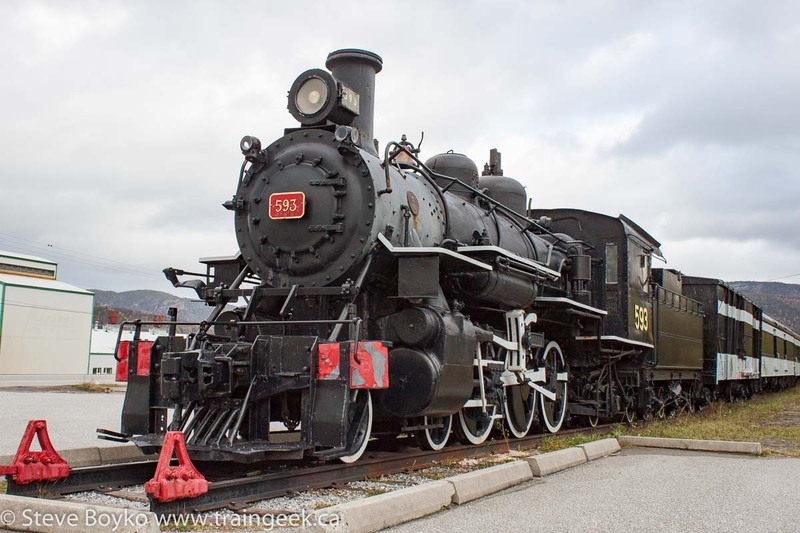 You can see that one of the major features of the museum is steam engine 593, a Baldwin locomotive built in Philadelphia and delivered to St. John's in 1921 at a cost of $36,870. This locomotive was originally a passenger express engine and ended its long career as a yard switcher in Port aux Basques in 1957. 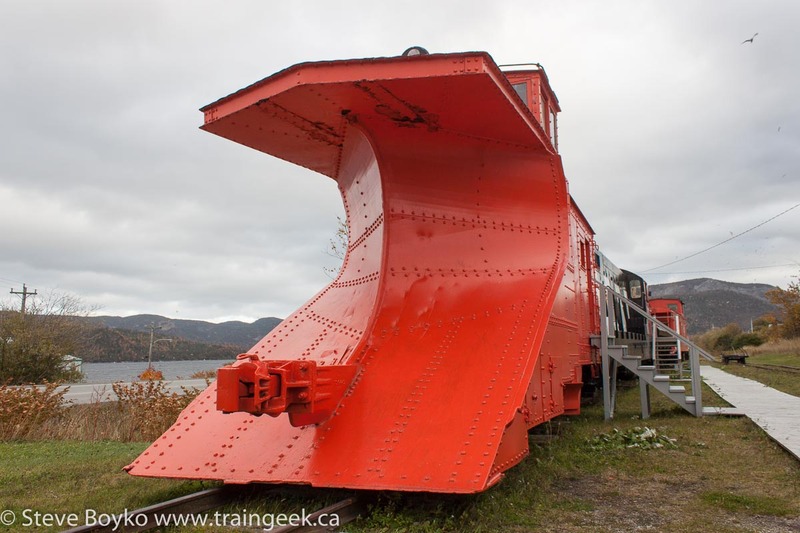 To be honest, I spent more time looking at the other train, the diesel-powered plow train. 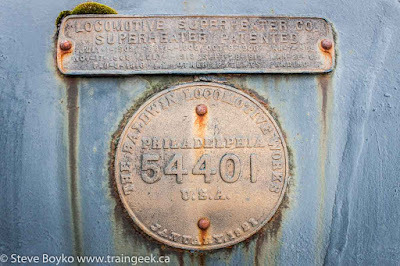 I am by far more interested in diesel locomotives than steam engines, which you probably know already if you are a long-time reader. Diesels FTW! The plow train is a little shorter than the passenger train, but it has a nice variety of equipment. 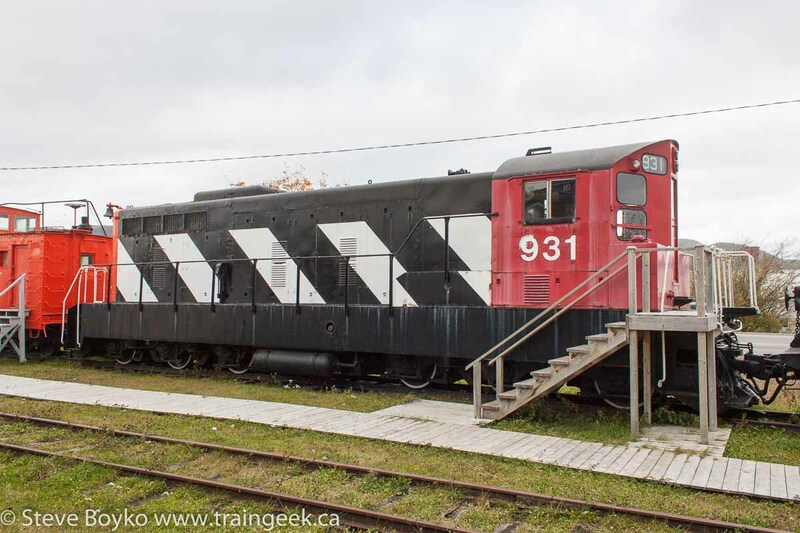 CN 931 was definitely my main point of interest. It could use a little paint but it's looking pretty good. I was impressed at how well maintained the displays are. There is no graffiti and the walkways, steps and such are all in good order. Kudos to the Society for such a great job honouring the Newfoundland railway's past. There's a museum building on site, the Rhoady J. Hickey building. Of course it was closed so I don't know what's inside. I imagine there are a number of artefacts on display. There is a fair amount of track extending past the displayed rolling stock, coming to a switch and extending past that for a number of metres. It would be fun to run a velocipede up and down the track! 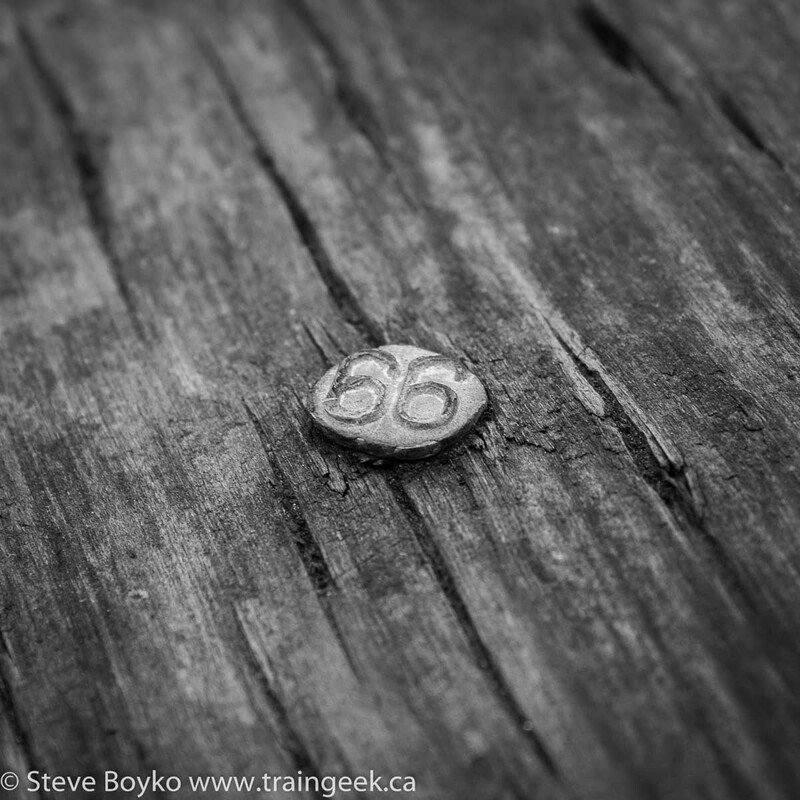 The "Newfie Bullet", the cross-island passenger train officially known as the Caribou by CN, was terminated in July 1969, a few years after the Trans-Canada Highway opened on the Island in 1965. The "bullet" was a bit of humour as the Caribou had a 23-hour schedule between Port aux Basques and St. John's, compared to the 12 hours a car could drive the same distance. 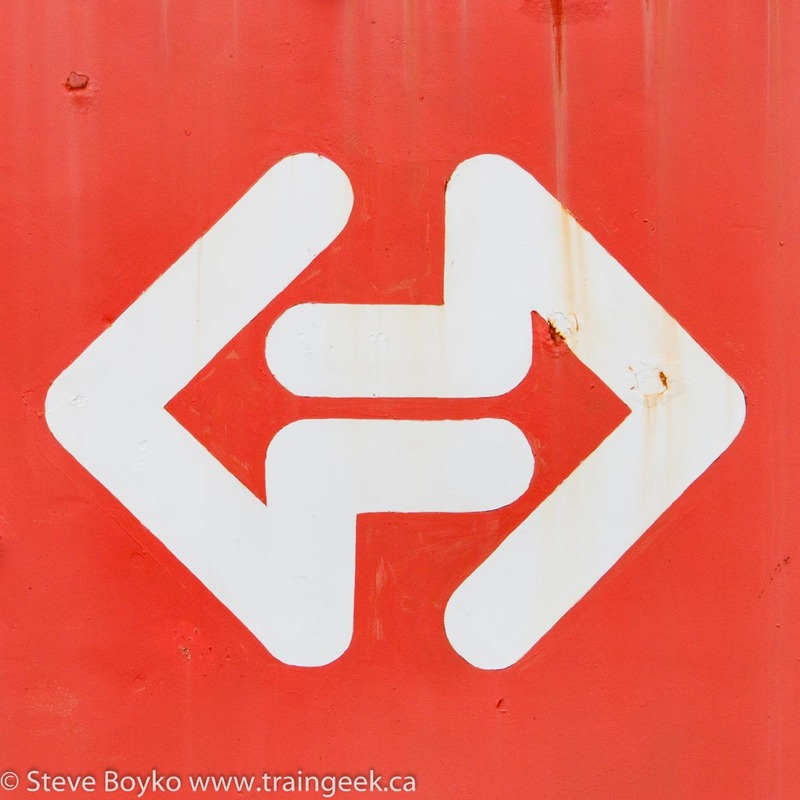 CN took over the Newfoundland Railway after the province joined Canada in 1949. In the 1970s, CN began to rely more on trucks to haul cargo on Newfoundland, and in 1979 the Newfoundland rail operations were spun off into Terra Transport. Terra Transport operated CN's freight operations, as well as the CN Roadcruiser bus operation and CN's trucking operation. 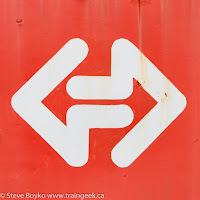 Newfoundland's branch lines were closed in 1984 and the railway itself was shut down in late 1988 with the last freights running through September, 1988. Signs of the railway were evident in Corner Brook, with books and signs here and there throughout the town. I found this switch stand beside a business in the town. 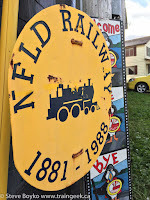 The Newfoundlanders clearly take a lot of pride in their former railway. I wish I had seen it in operation but I had never been to Newfoundland before this visit. 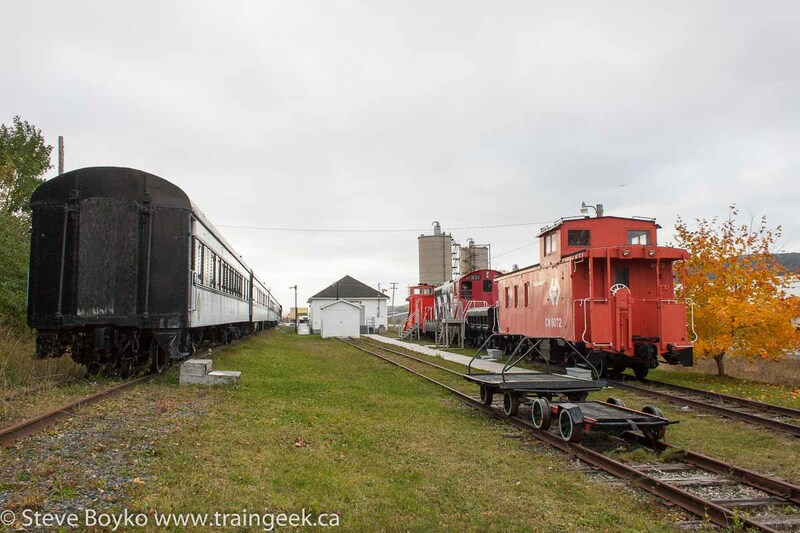 I'll leave you with a few more images from the railway museum in Corner Brook. 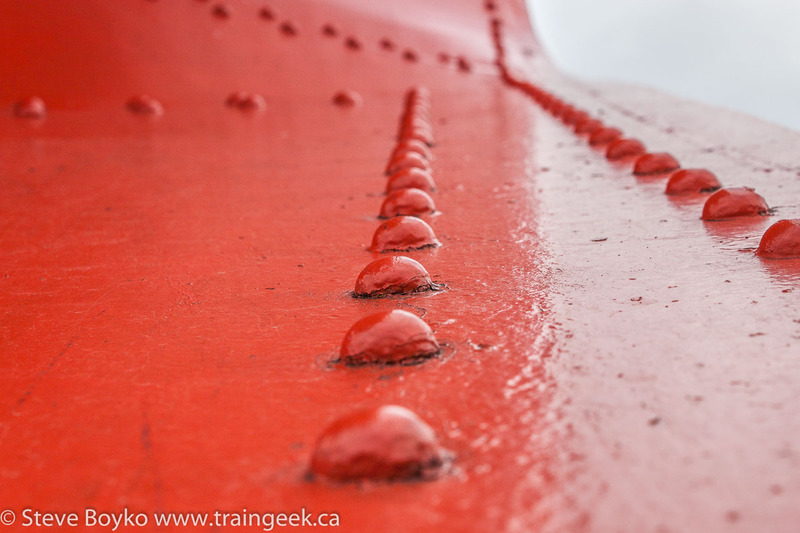 Thanks for keeping the memory of the railway alive! 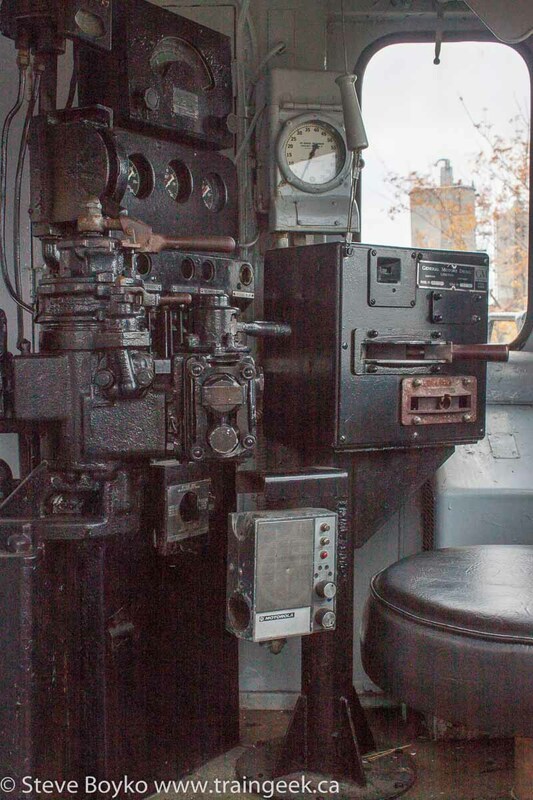 Excellent post about the museum and surrounding equipment. 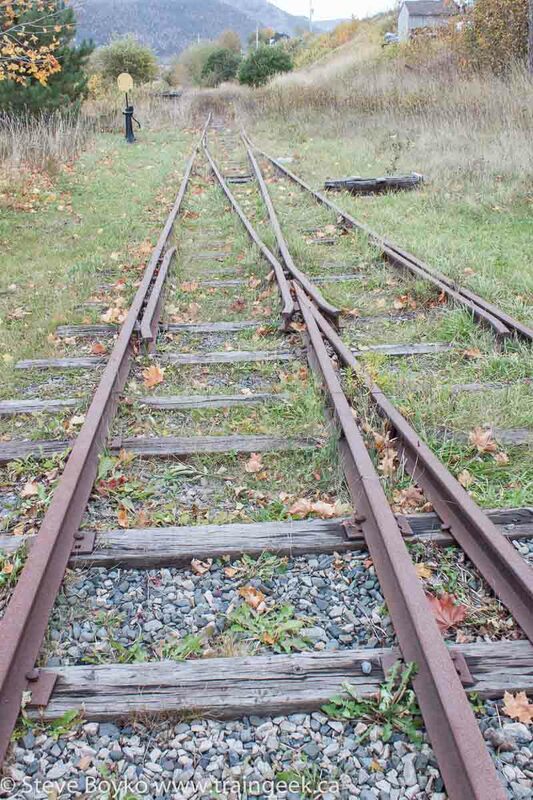 I'm really drawn to that shot of the tracks and switch and then off into the tall grass. For me, that would be a calendar shot. The crinkled brown leaves strewn about. Maybe it's partly due to the fact that it is autumn in this shot, I'm not sure. Would be interesting to compare this same shot in the four different seasons. Probably early winter with a light dusting of snow, early spring, and early summer. Don't get me wrong, the other pics are great as well, but that one is tops for me. Nice. 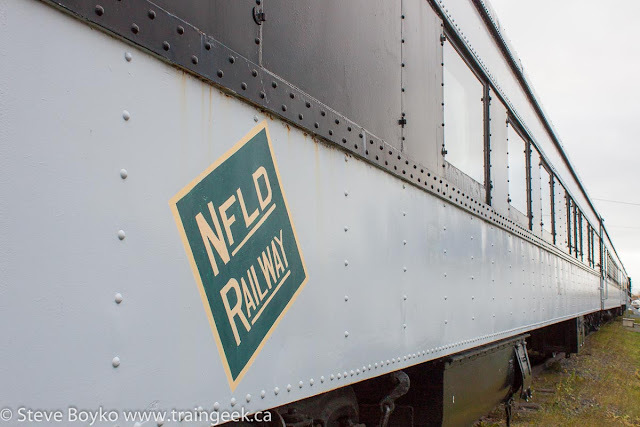 Too bad about the demise of the Newfoundland Railway,And it wasn't that long ago that it was still in operation. What was it, 1988? That's only 28 years ago. We both could have seen it in real live operation. What we take for granted eh? Reminds me of a comment one of the older Sanford towns folk ( now deceased ) made to me a few years back. And he was an avid photographer as well. It went along the lines of.... " No need to take a picture of that ( insert object here ), it will be there tomorrow." Well, guess what, it may just not be there tomorrow! Get your photo today. Anyway, I'm rambling here. I think I'm getting to be one of those old guys now. Thanks, Glen! I liked that photo too. It was definitely autumn when I was there; there was still a bit of colour in the leaves but not much. I wasn't a railfan in 1988 or earlier, so I wouldn't have cared much, but it is too bad that neither of us saw it in operation. As you say, "what we take for granted." I have my railfan regrets of things that I could have photographed but never did. Maybe material for another post someday. In spite of the narrow track, it strikes me that everything looks so "proportionally" right. Only when they tied a re-trucked mainland car on to a freight did the size difference become apparent. I agree, Chris, you don't really notice that it is narrow gauge when you're outside it. I imagine you can see a difference when you're inside the equipment.